It wasn’t a question that expected an answer; it was just Paul being Paul, the wry smile, and the glittering eyes that missed nothing. On several visits to Elmenteita’s Delamere Camp he had taken me out on dawn walks, and he had been our guide on night drives around the Soysambu estate. And so, as I had my camera with me, I asked him to pose by the lake, which he was more than pleased to do. 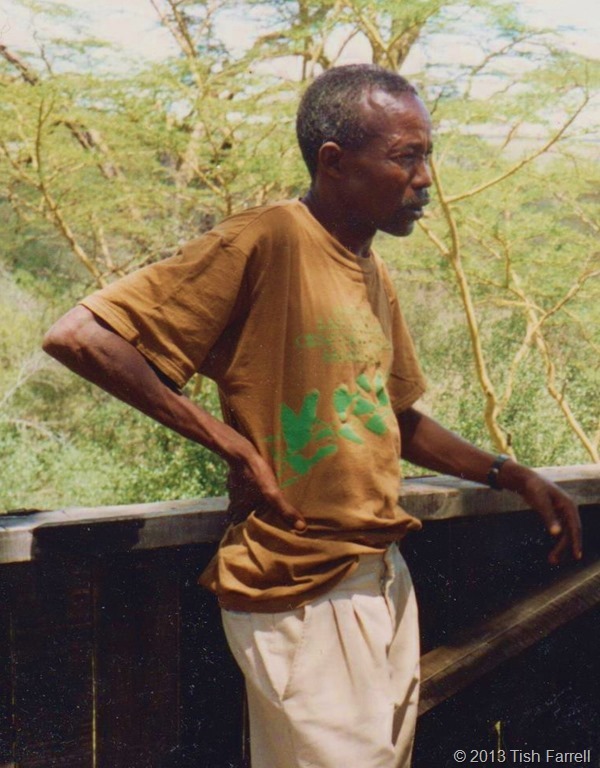 Paul Githinji Kabochi was a man I am lucky to have met, and I mourn his tragic loss in what was, for him, the strangest of accidents. 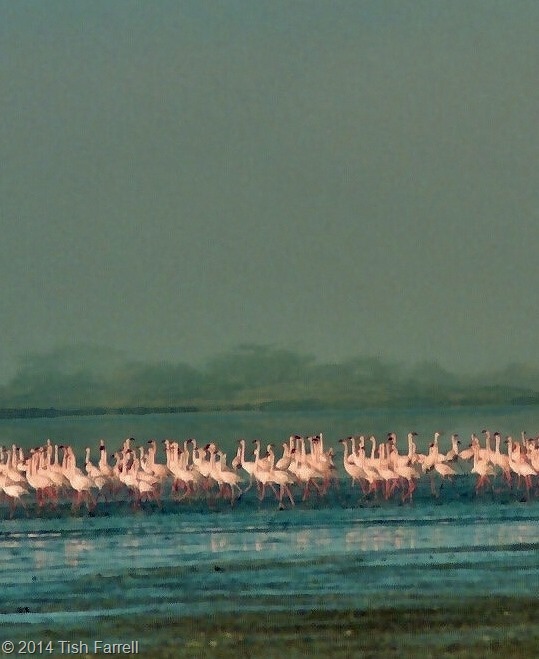 He was a true path-finder, and not only for the likes of me, a traveller, wanting to experience the African bush with someone who knew it intimately, but also for august naturalists such as David Attenborough. 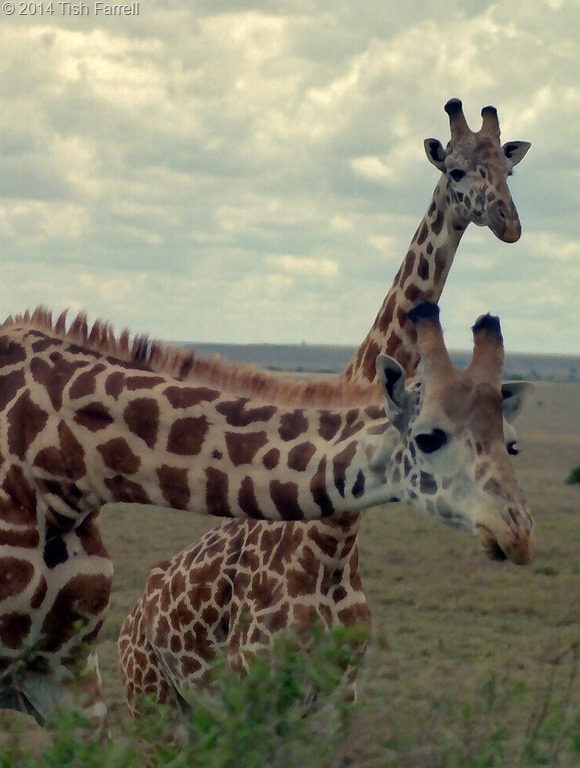 Paul had been one of the expert guides during the making of The Life of Mammals, and his special knowledge was often called upon by the BBC’s outpost in Nairobi. 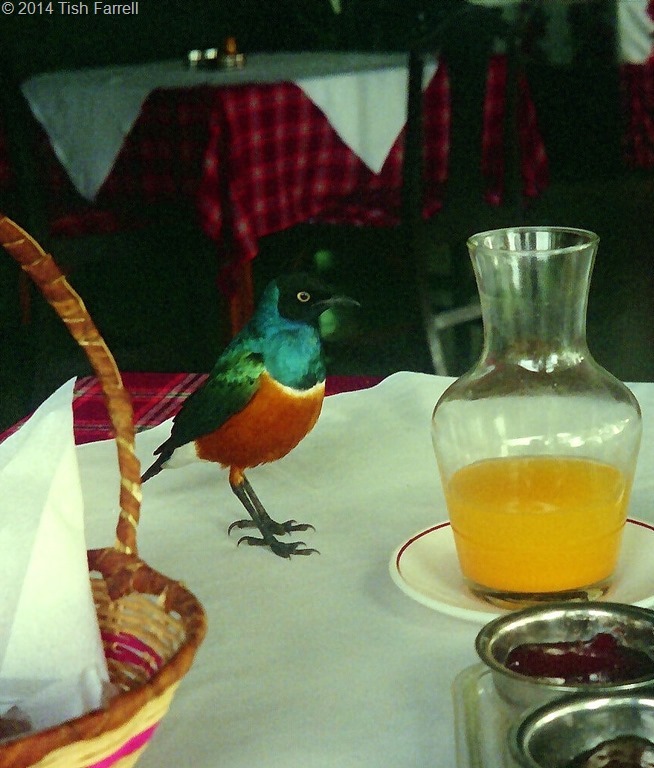 I first met him on the afternoon ethnobotany walk run by Delamere Camp to keep guests amused until the night drive around Lord Delamere’s private estate (now Soysambu Conservancy). That day, on the walk, we did not get beyond the camp grounds. There were too many plants that required our attention. Paul knew about the medicinal properties of both indigenous and introduced plant species. I remember him telling me to pick some lavender from the bush outside the camp dining room when I told him I had a headache; this after ascertaining whether it was “a headache of the stomach, or of the weather.” He told me to make tea with it. On other occasions he also explained how he treated skin cancers with a mixture of, among other things, baked sodom apple (Solanum family) and avocado. Then there was the little blue flowered Wandering Jew (Commelina) that was especially good for clearing adolescent acne. He also once told me that he had successfully treated a typhoid outbreak in the locality with decoctions of (I think) fever tree bark. He meant to write a book, imparting all he knew, but when I last met him he was struggling with finding ways to fund the venture. When he was not acting as guide for Delamere Camps, he had his own clinic in Rumuruti, and was also called on from time to time to consult at the prestigious Nairobi Hospital. 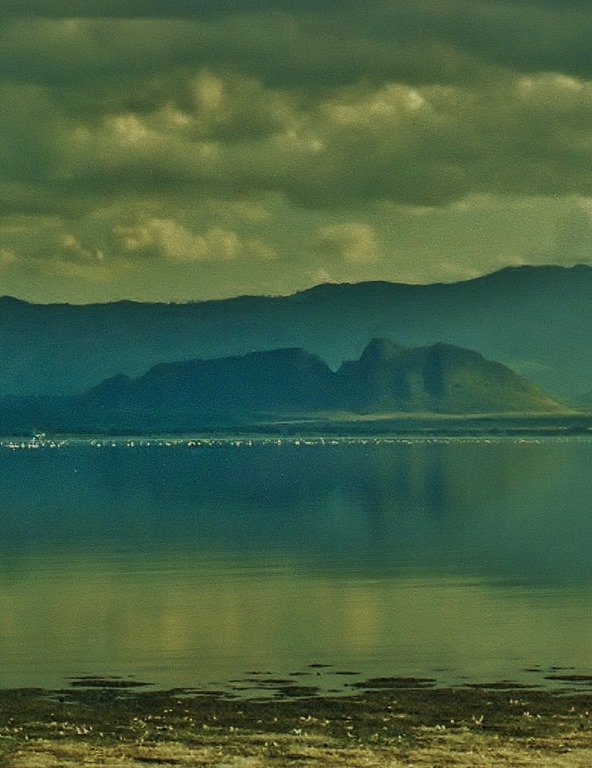 Lake Elmenteita looking towards the exploded volcanic crater known as The Sleeping Warrior. 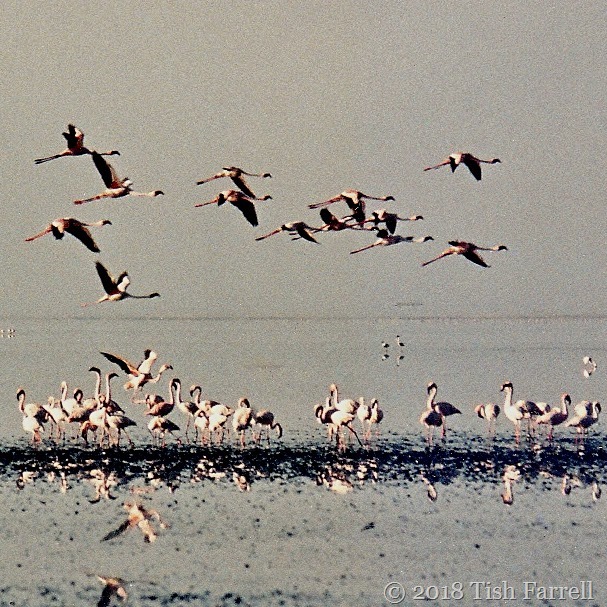 Large numbers of flamingos come to feed here, but it is more important as a breeding ground for white pelicans. 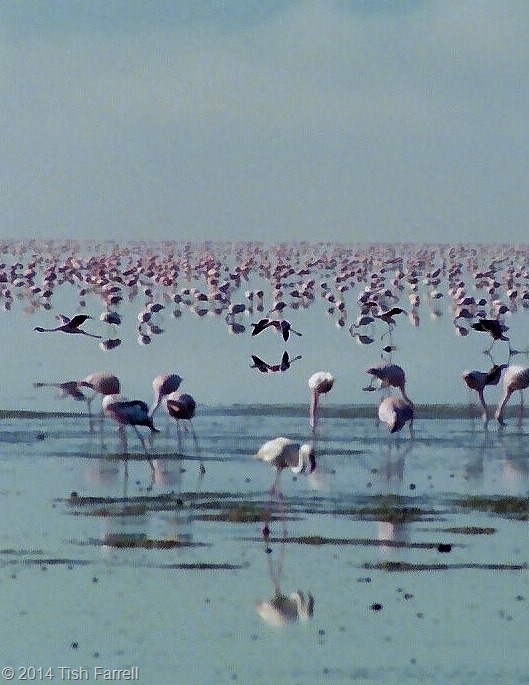 Like many of the Rift lakes, the water is exceedingly alkaline. This particular lake is also very shallow, being only around 1 metre deep. 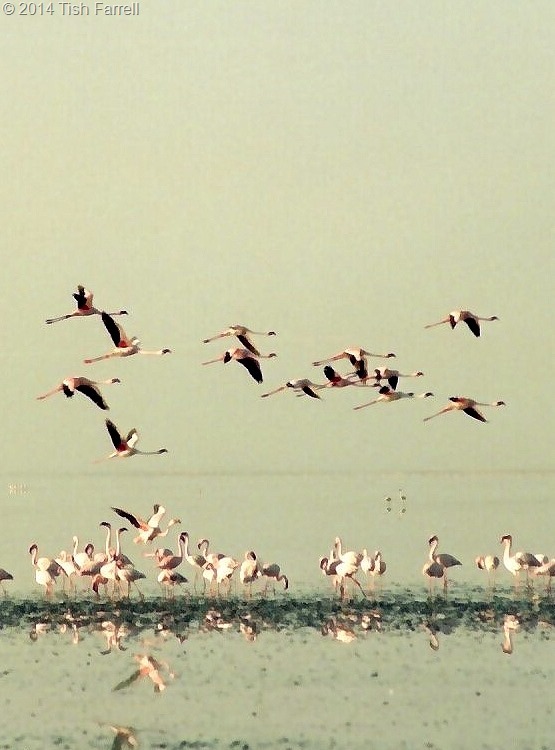 At times it has been known to disappear altogether, leaving a dusty basin. The name comes from the Maasai ol muteita meaning dust place. 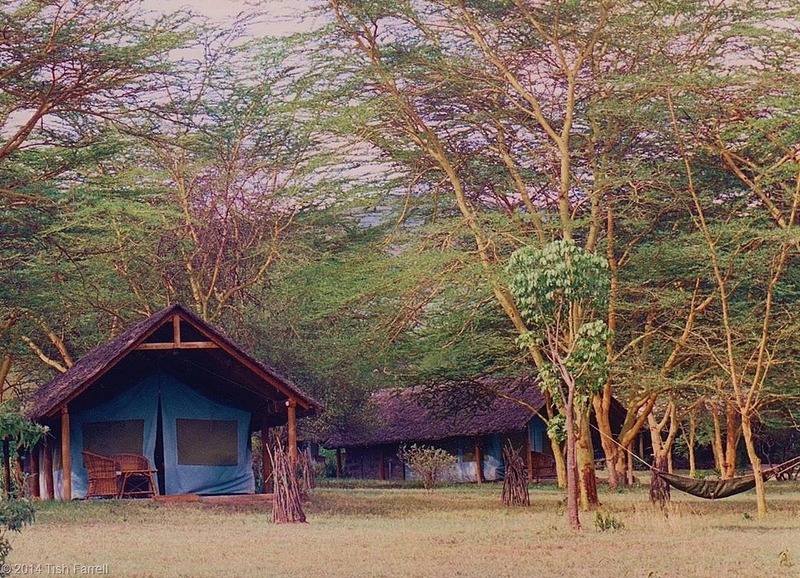 There were around twenty ‘thatched-roof’ tents – all with bathrooms. On cool evenings we would return from the night drive to find hot water bottles in our beds. Paul was responsible for many of the features that made staying at the Elmenteita camp so special. 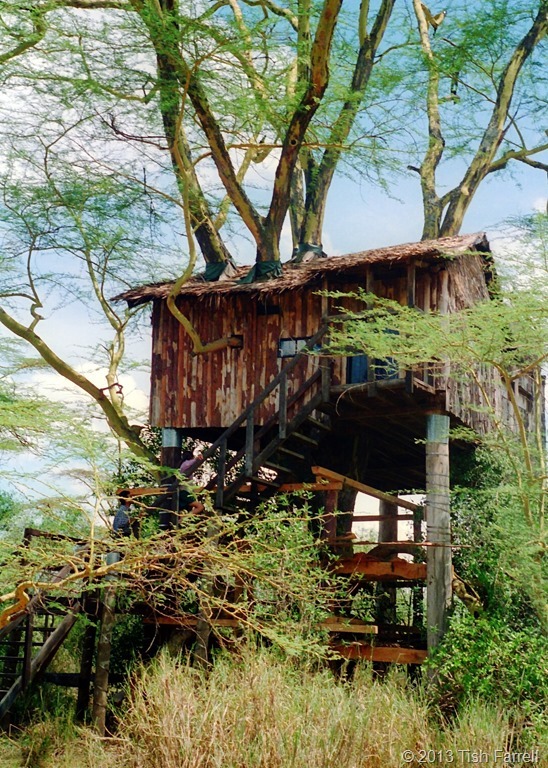 One of them was the tree house he built in a fever tree, and on whose roof terrace he is standing in the photo above. 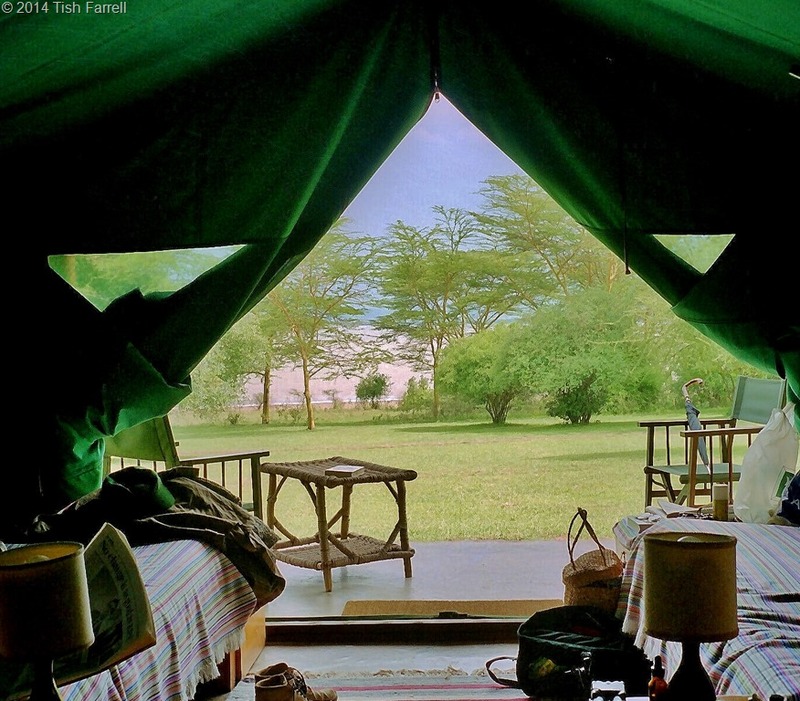 Small numbers of guests could spend the night there in the hopes of spotting the leopard that came to drink at a nearby water hole. 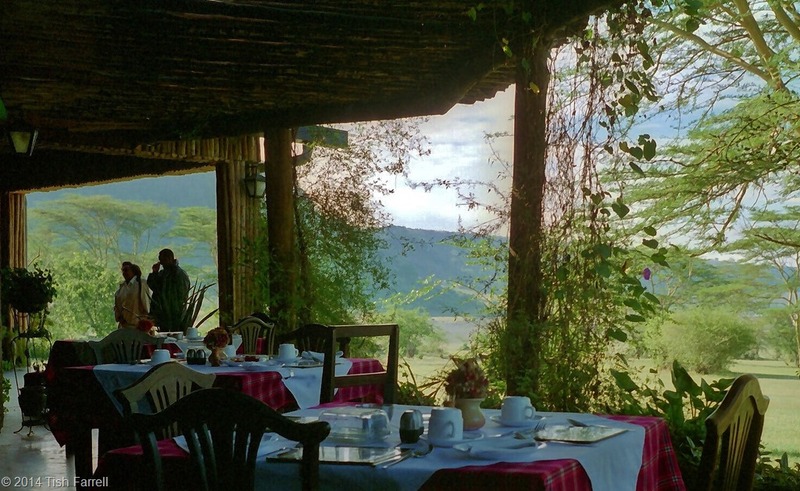 We stayed there once, but saw no leopard. Instead we were kept awake by chattering tree squirrels who spent all night raiding the sugar bowl which we had carelessly left uncovered. The night drive out there, though, had been fun. 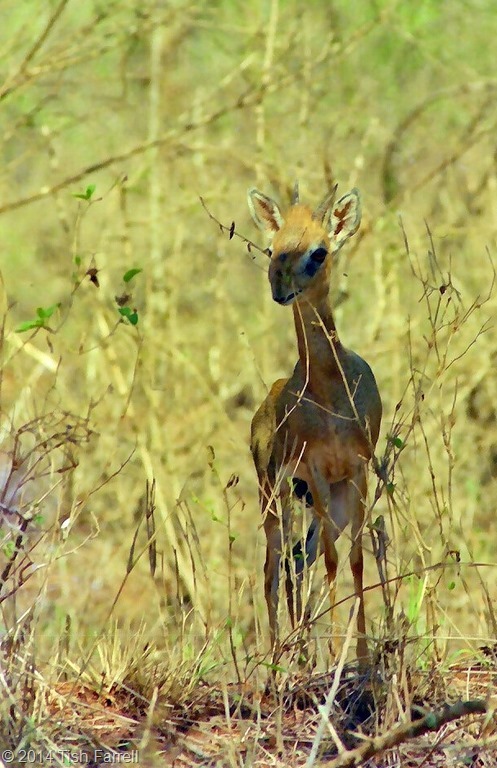 We had seen both a zorilla and an aardvark. And in the morning the camp staff drove up with a full hot breakfast, so we could dine on the roof amongst the bird call. Paul said he came from the Ndorobo community, or Ogiek, a small, but remnant population of hunter-gatherers, who traditionally lived by honey gathering and hunting. These slight-framed people were possibly among the indigenous inhabitants of East Africa before the arrival of the Bantu farmers and Maasai pastoralists. 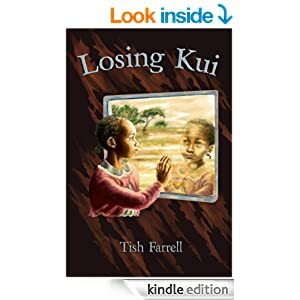 Many became assimilated with the newcomers, adopting their languages, but there are still groups living in the forests of the Mau Escarpment, where they struggle to have their rights acknowledged by the Kenyan Government. 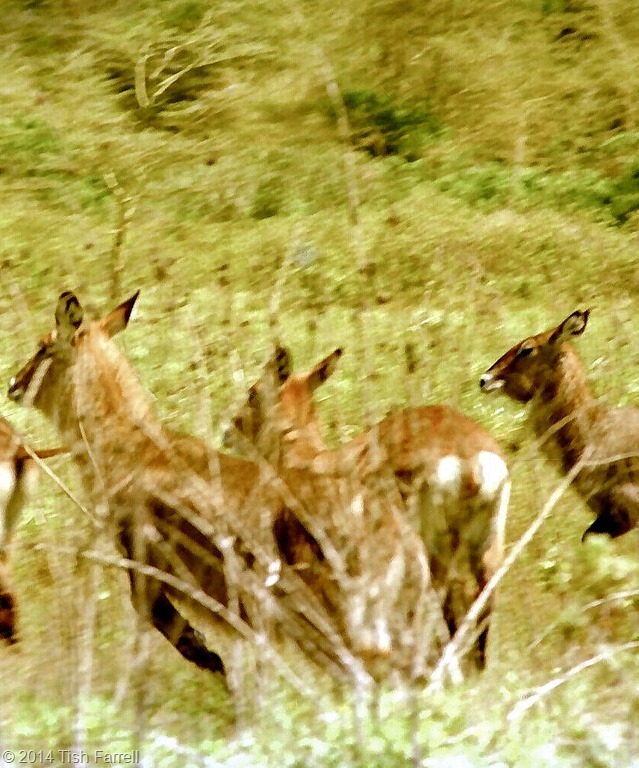 Top on their list of priorities is preserving their forest domain, now constantly under threat from agriculture. 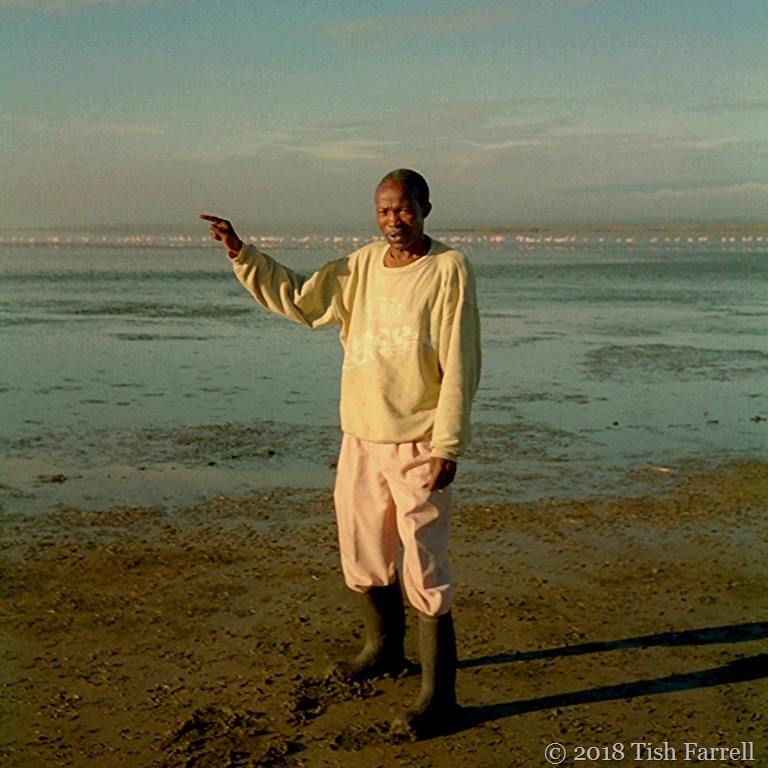 Before he became a guide, Paul worked for many years as an animal trapper for the National Museums of Kenya, capturing animals for museum study and display. 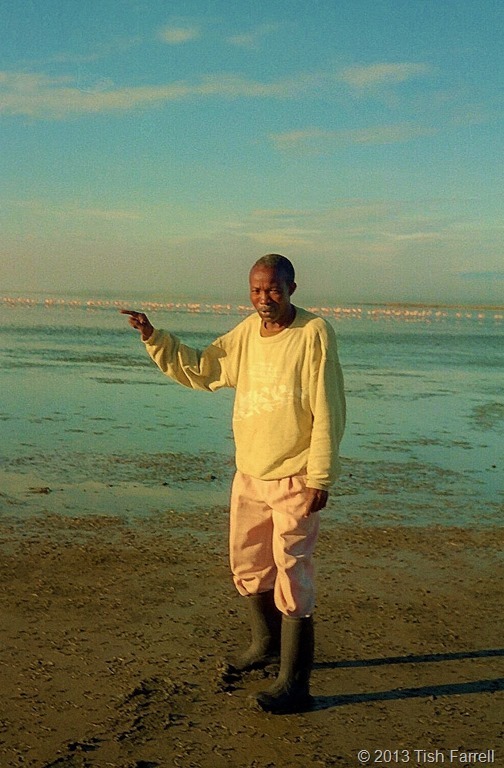 He told me that he and his party had once been set on by bandits while he was trapping up in remote and arid Turkana. The works Land Rover was stolen at gunpoint and they were left to die. He survived on that occasion, but blamed the loss of many teeth on the days of near starvation in the wilderness. 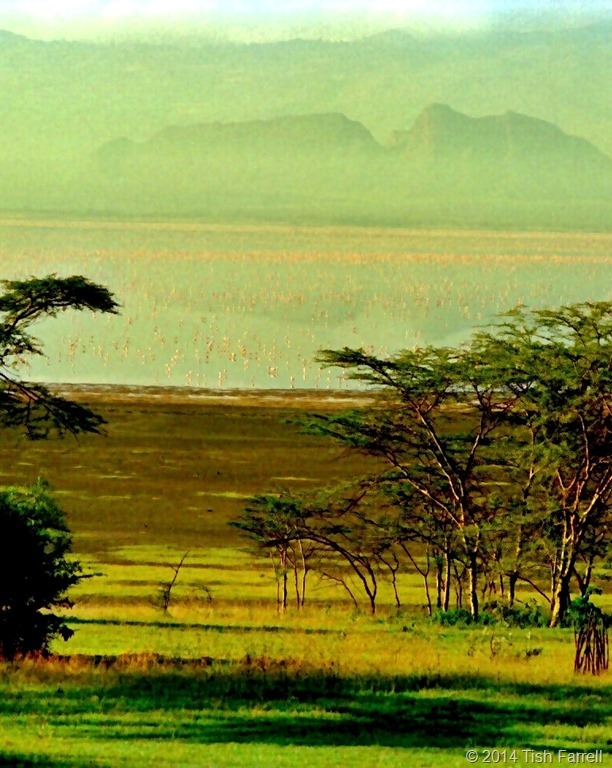 In the years before he died, Paul was working down at Taita Ranch near the border with Tanzania. There he liaised with film crews and scientific expeditions of all kinds, giving them the benefit of his wisdom and wit. 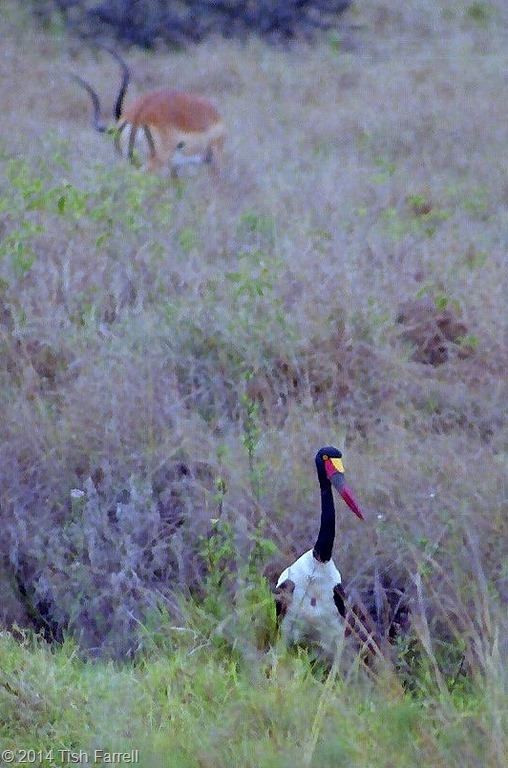 It was on the 8th February 2003, while he was out alone, and on foot, tracking dwarf mongoose, that he was surprised by a lone elephant and killed. 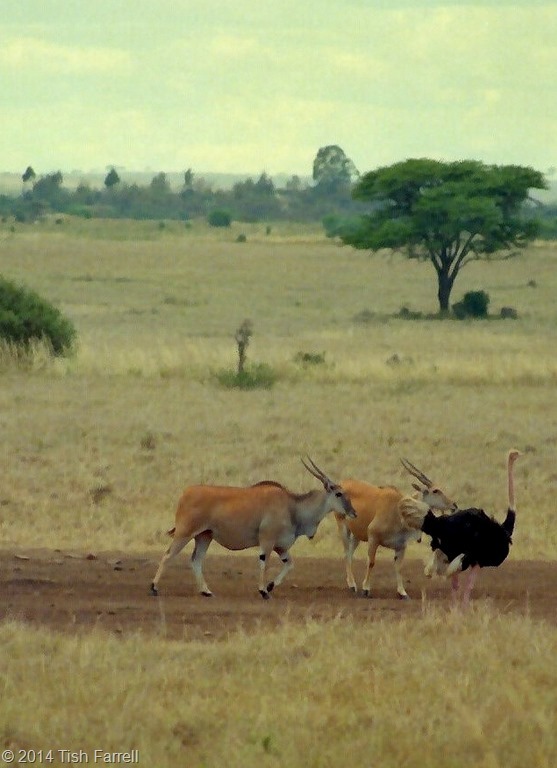 It was some years after the event that I heard what had happened, and oddly, too, from a friend of a friend in rural Shropshire, someone whose sister lived in Kenya and whom I met while she was briefly over in England on a visit. It was a strange way to discover this sad news. Even now, I find it hard to believe that someone as smart and wily as Paul Kabochi could have been caught unawares by an elephant. They have such a strong smell for one thing, and he was not a man to take anything for granted. Many academic research papers have been dedicated to him, but I notice, as time passes, internet references to Paul Kabochi grow fewer. This makes me wonder, too, about the loss of all his pharmacological knowledge. I know he had children, but did he pass it on? In 2000 German documentary film maker Ralf Breier made a short film about Paul. Its English title is ‘Animal Magician’. Now that’s a film I would like to see. 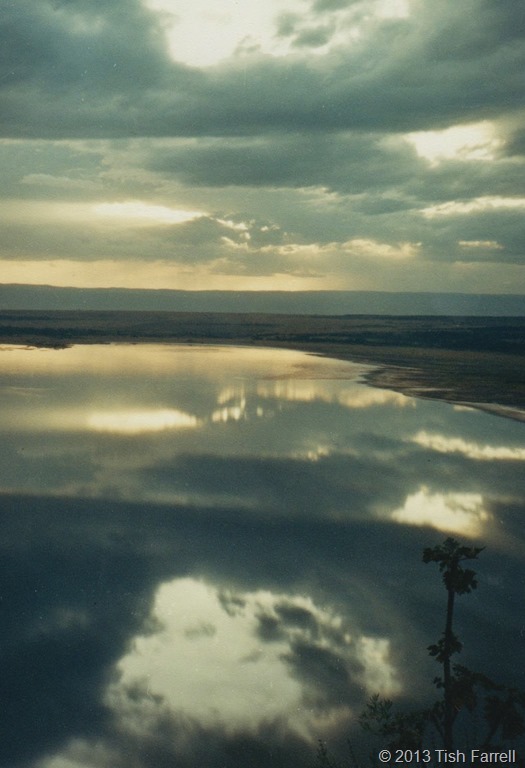 The photo above was taken from the Sundowner Look-out, above Lake Elmenteita.This was another of Paul’s ideas: that in late afternoon guests would either walk or be driven up to the cliff top behind Delamere Camp. There they would be given a few roast ‘bitings’ of game meat and a beer or soft drink, and sit on tree-stump seats and watch the sun go down. We have sat up there and viewed this scene with some of our dearest friends. Now I look at the photo and think of Paul Kabochi. 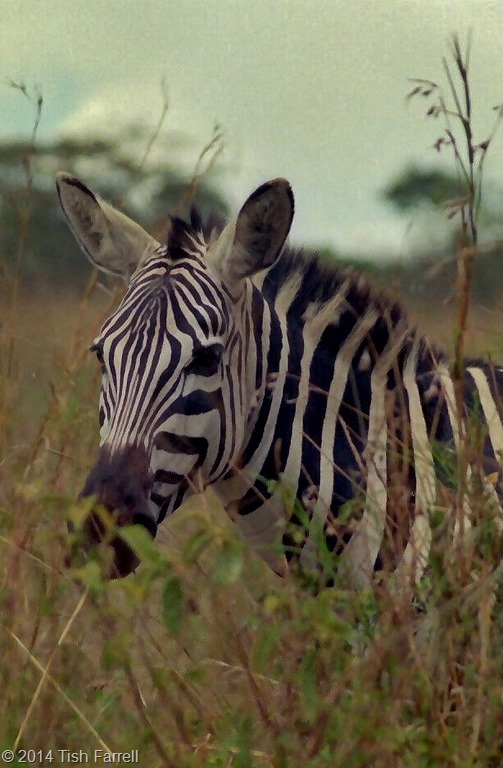 It is hard to think that he is not still treading softly along Africa’s wilderness trails. P.S. Delamere Camp is no more. 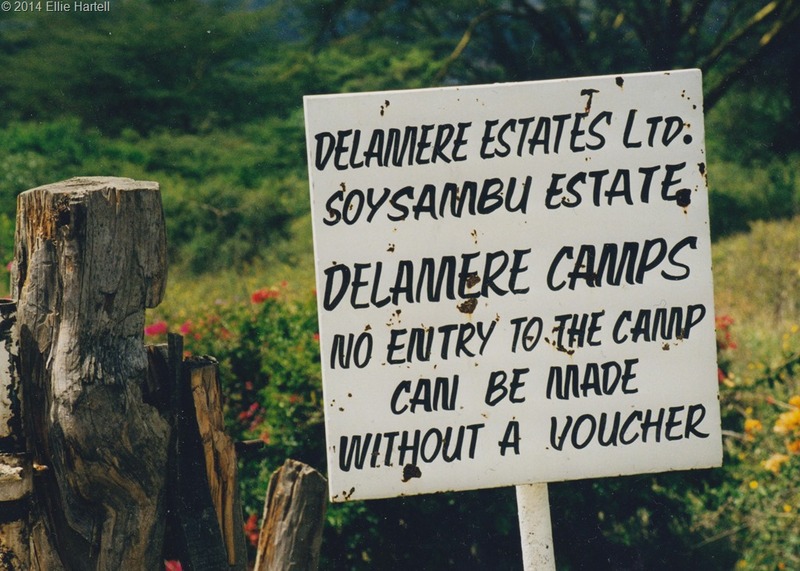 Much of the former Delamere estate at Soysambu is now part of the Soysambu Conservancy. 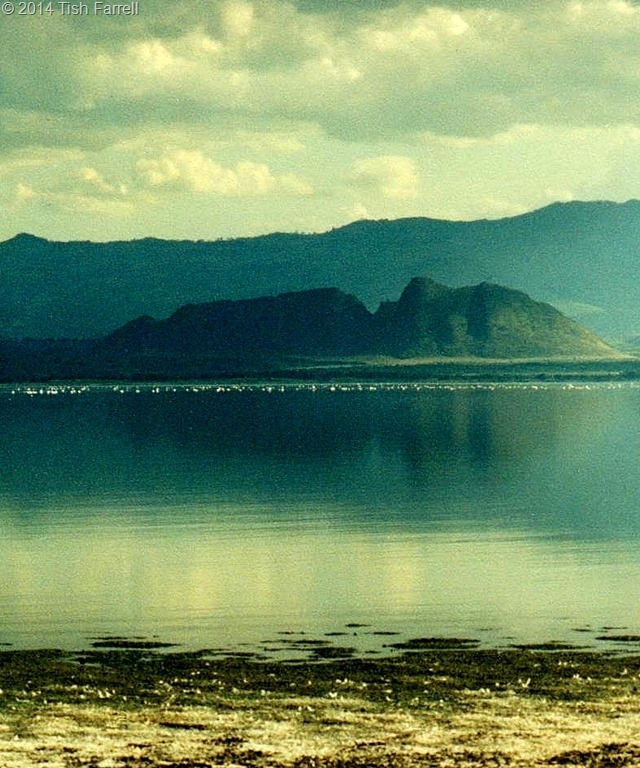 The soda lakes of Elmenteita and nearby Nakuru are now World Heritage Sites. 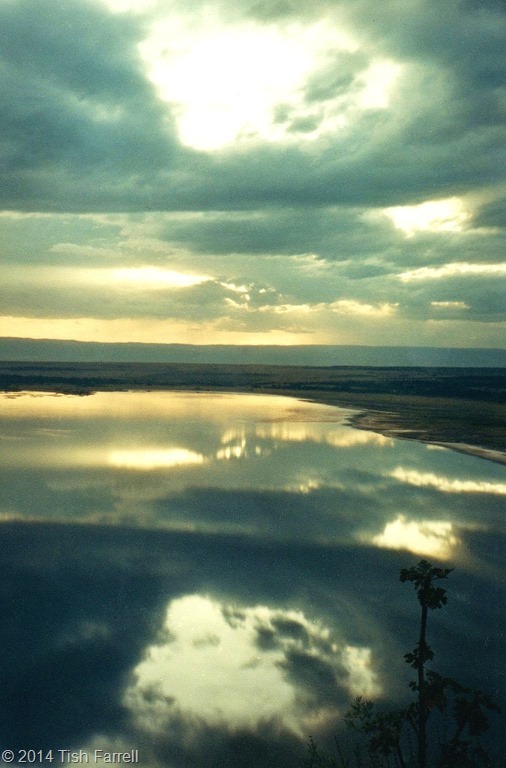 Nakuru is the next lake up the Rift from Elmenteita.